We arrived at the Symphony Space theater complex on Broadway after a car, train and taxi ride that was an adventure in itself! ‘Selected Shorts’ would be in the Peter Jay Sharp Theater. 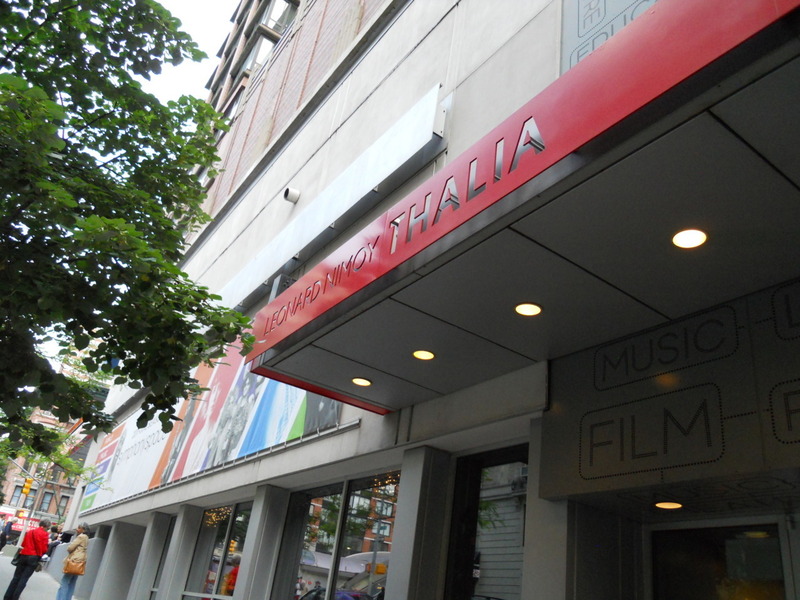 However, just around the corner was a companion theater, the Leonard Nimoy Thalia! Amazing to see his name permanently on the marquee and in neon on another sign above the doors! Many thanks to the Nimoys for donating funds for the restoration of this gem! 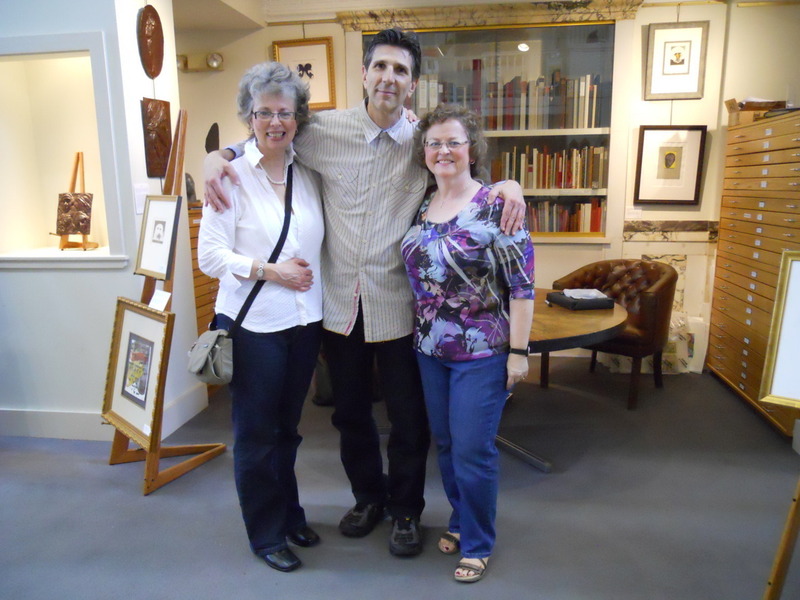 On Friday, as pre-arranged with Rich, Bobbie and I drove from Albany, NY to Northampton, MA to see the gallery and catch up with him. I had not seen him since the “Secret Selves” exhibition (as Mr.Nimoy’s collaborator on that project—the photos for this were actually taken at the gallery), although we had stayed in touch. I have purchased 4 Nimoy photographs through Rich to go with 3 other Nimoy photos I own, including the portrait Mr.Nimoy took of me at MASS MoCA. His gallery is in downtown Northampton, a unique, smaller, pretty town that combines college life, diversity and the arts very effectively. 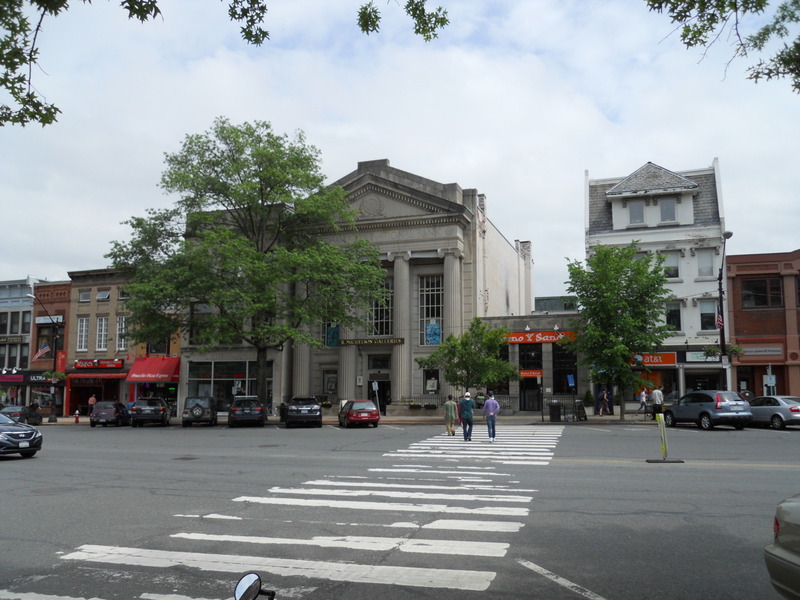 Rich’s gallery is in a former bank building with imposing columns out front. Inside, it is a joy to behold—displaying a variety of well known artists and mediums in an airy, open and visually engaging space. It didn’t take long to find Mr.Nimoy’s section—currently in the bank’s former vault! You literally step inside and are surrounded by varying sizes of Mr.Nimoy’s photographs from several of his projects/concepts. They could have closed the vault and I would not have minded! 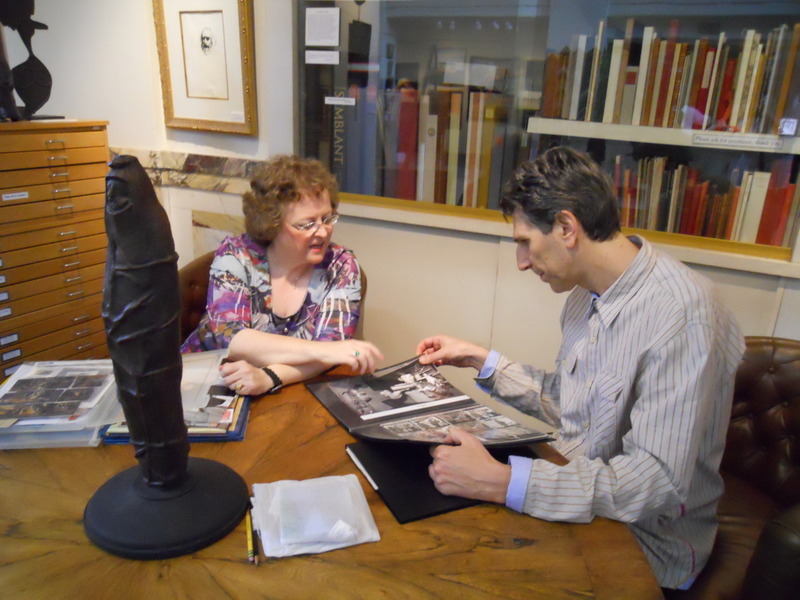 An overwhelming experience for the Nimoy photography lover! After taking our time to view the work of other fine artists, it was also great to finally meet in person and talk at length with gallery staff that included Paul, Mariah and Elana. They were happy to put my face with a name as well! Rich was thoughtful enough to sit down with us for an extended conversation. 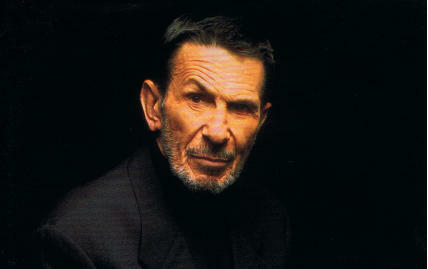 We caught up on his family, his current projects and his work with Mr.Nimoy. He had been at the Boston University convocation and rode with Mr.Nimoy back to New York by rail. He again shared that he had told Mr.Nimoy we would be at his performance and he added that Mr.Nimoy was appreciative of my last photo purchase. He showed us a prototype of a special boxed set of prints from the “Eye Contact” series that may be available soon—gorgeous! Of course, we were all hopeful that that there will be an exhibition that will go with it! We also reviewed some of my Nimoy collection together, which was fun, and Rich graciously signed a photo I had of him with the Nimoys. He also personalized some of his books for my friends and family. In an e-mail after I returned home, he characterized the visit as “absolutely lovely.” Thank-You, Rich, for your talent and thoughtfulness. 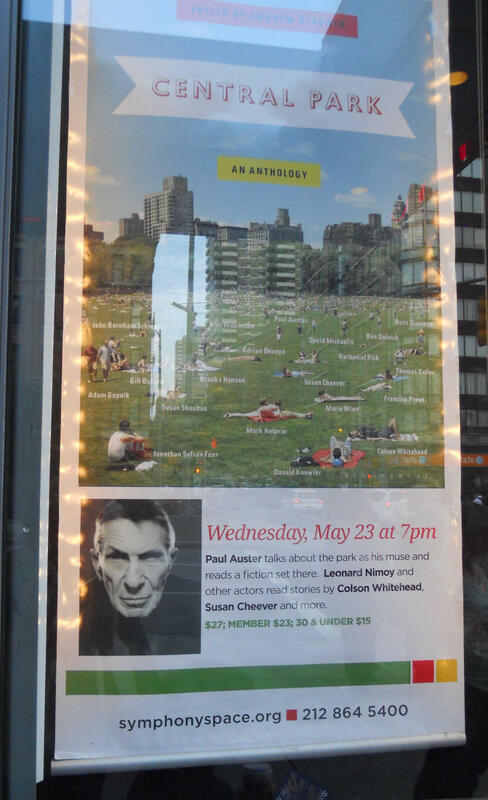 It was a fantastic vacation and my heartfelt appreciation is once again extended to Bobbie, Cassandra, the R.Michelson Galleries, Symphony Space and, of course, our common bond, Mr. Leonard Nimoy.